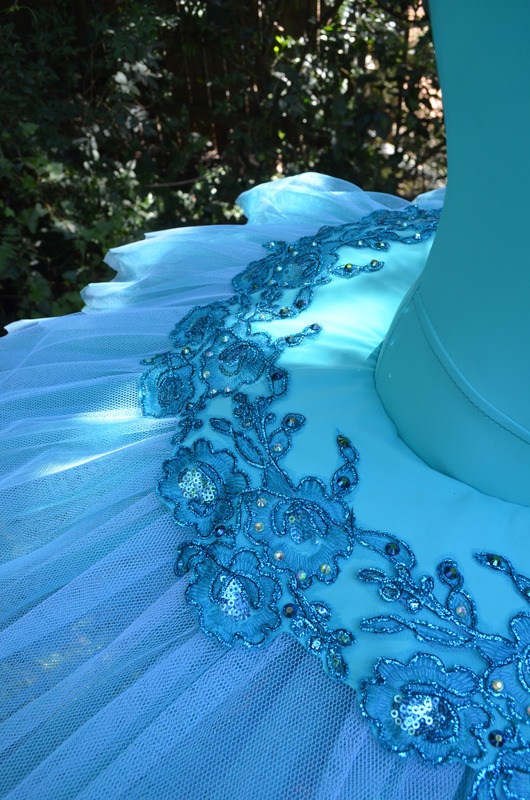 During the last half of the year I am often making variation tutus for YAGP. 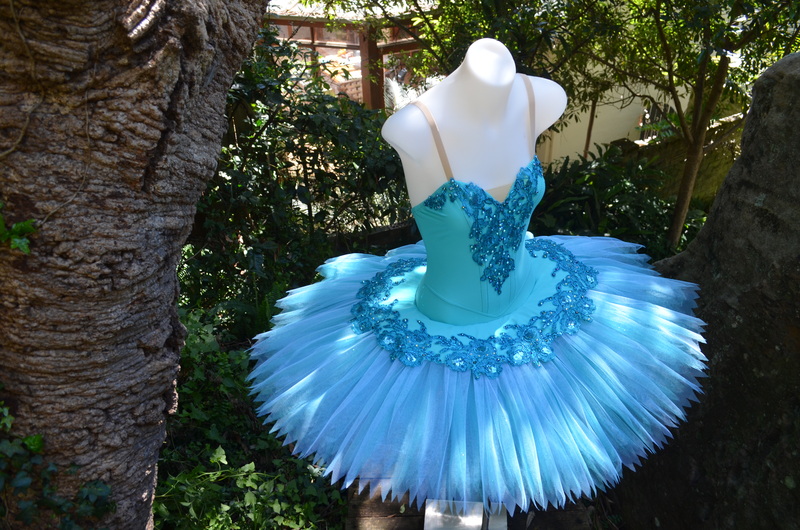 Here is a selection of tutus that could inspire any young dancer to be Princess Florine. I had only a small amount of this lace left so I had to be creative in making a balanced design from it. 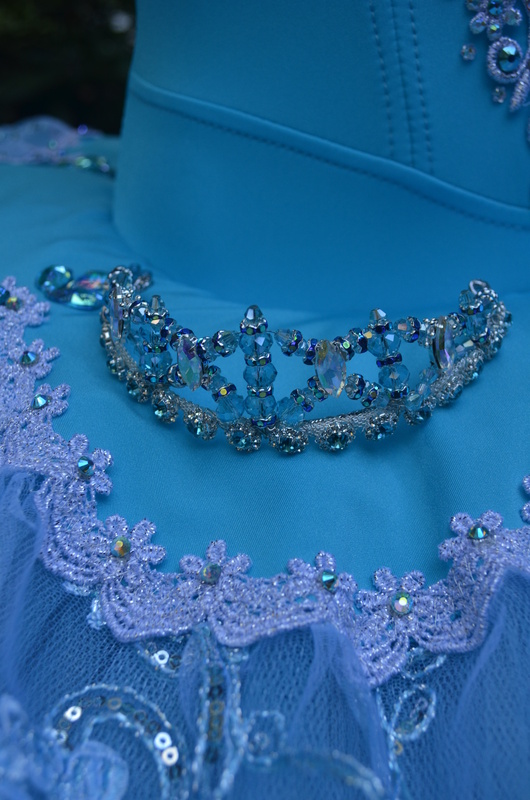 The bodice decoration here is augmented with rhinestones, seed beads and sequins. There wasn’t quite enough lace to reach the edge of the skirt so I introduced a little window of glitter net as a design feature. I think it is issues like these that inspire my creativity the most. The window effect is quite pretty I think. I blinged it up a bit with lightweight acrylic rhinestones. Et voila … net to the edge of the skirt to give a soft romantic look. 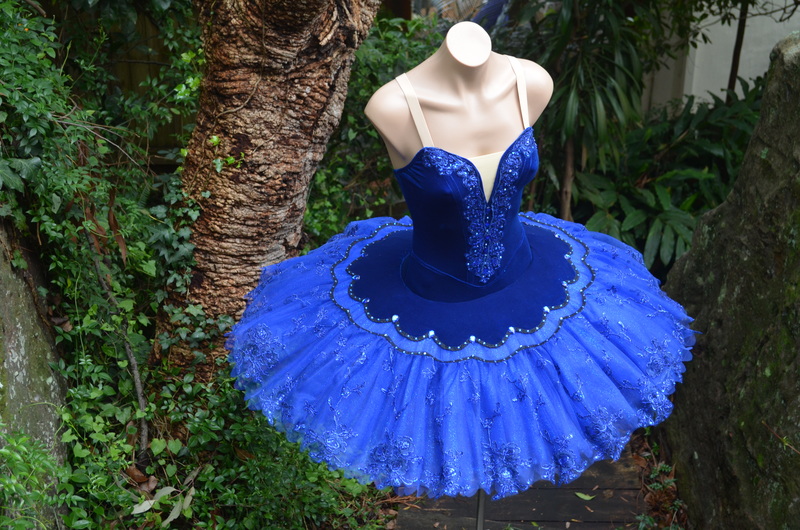 This was a combination of a light blue lycra and a darker lace. 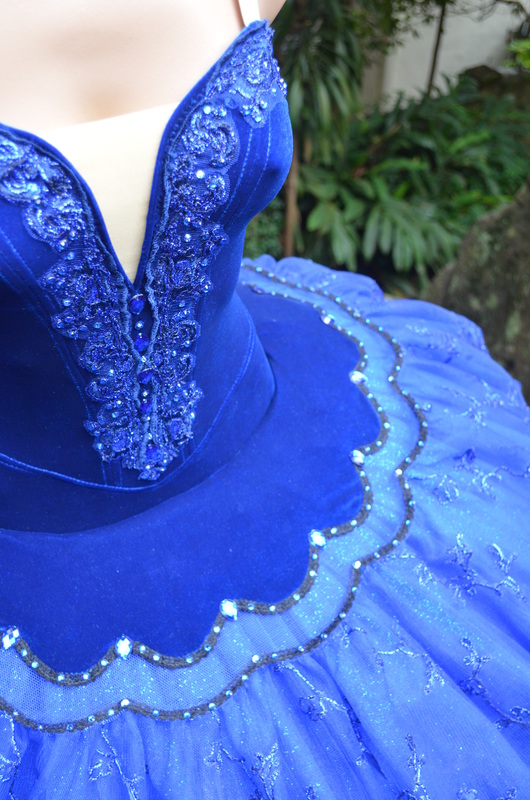 I wanted to keep the design as a light tracery of lace so that it would not look too heavy against the pale blue. 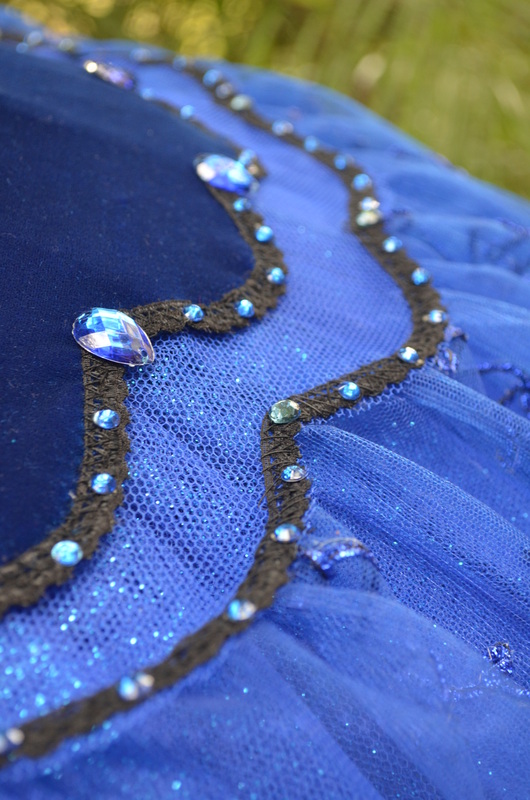 I added some crystal AB rhinestones for a bit of extra glimmer. 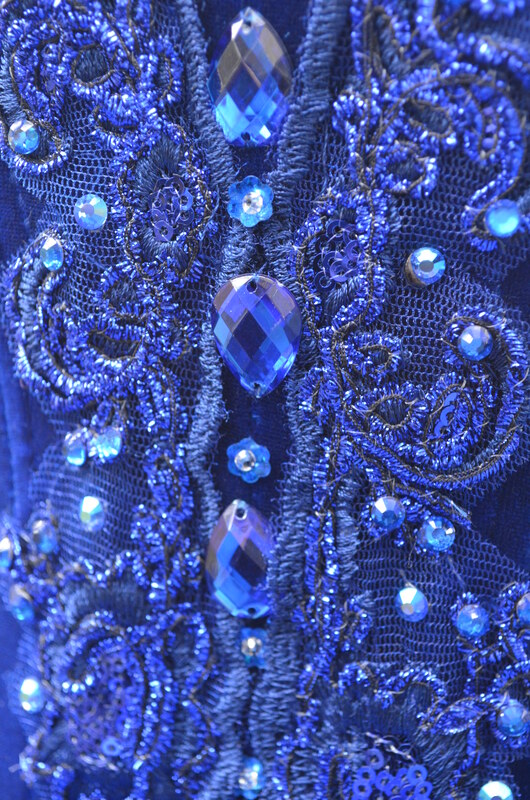 The tiny flat sequins on the lace accommodated the real sparkle and flash. I really like who this one turned out. I’ve since had quite few requests for a reprise of this style. 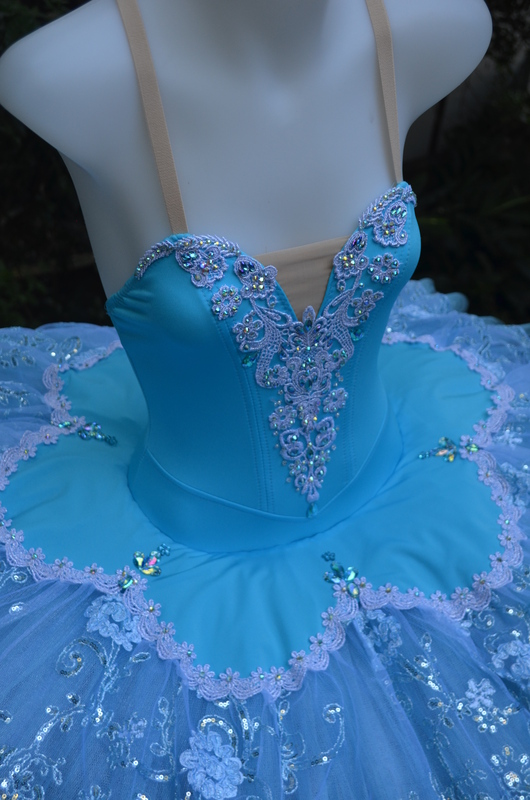 And finally a sweet little blue and silver tutu with a scalloped plate and lace overskirt. 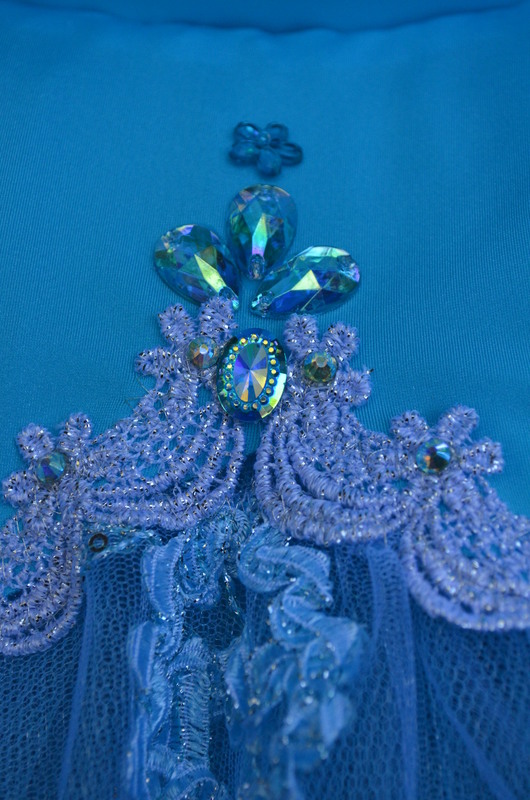 The peaks of the scallops were embellished with rhinestones as a focal point. And there we have it. Three Princesses in blue.